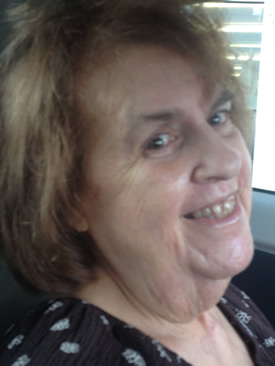 Diane Jacquelyn Benenate Harden, – aged 79, passed away on Friday, March 22, 2019 in New Orleans, LA. The beloved wife of Edwin Doyle Harden, daughter of Joseph A. Benenate and Theresa M. Edel, mother of Kirk Joseph, and step-mother of Mitz LaSalle (Jeff), the late Jan Dickerson (Joseph), Nona Herdon (Dennis), Edwin Harden (Mary) and Richard Harden, Diane also leaves to cherish her memory, a host of grandchildren, great-grandchildren, nieces, nephews, other relatives and friends. A funeral mass honoring Diane will be said on Wednesday, March 27, 2019 at 11:00 AM at Our Lady Star of the Sea Catholic Church, 1835 St. Roch Ave., New Orleans, LA. Visitation will be held from 10:30 AM until the hour of service.